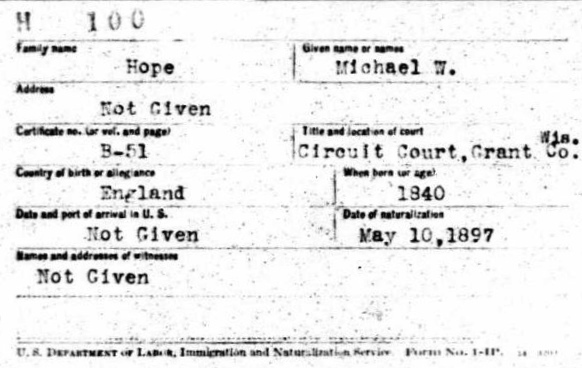 On May 10, 1897 Michael William Hope became a naturalized citizen of the United States. He came to the United States from Darlington in the County of Durham, England in 1846. He was six years old at the time and immigrated with his father, grandfather and other family. 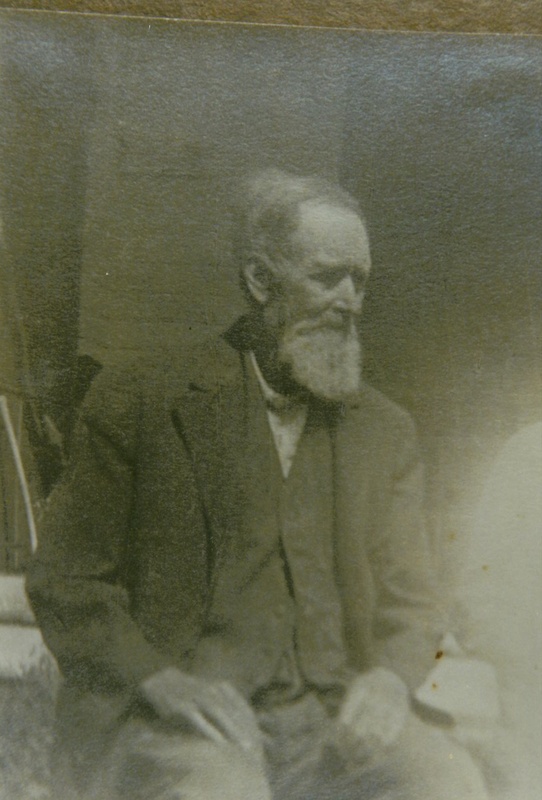 He had established his farm at this point in his life and had four children with his second wife, Mary Ellen Fralick. Their youngest child, my grandfather Monroe, was only two years old when Michael was naturalized. As was the custom and law at the time, immigrants could become naturalized at the local courthouse. The Hope family had settled in Grant County, Wisconsin and went to the County Courthouse for this important transition. Mary Ellen had been born in Cassville, so was already a U.S. citizen as would have been the children who were also born in Wisconsin. Had they not already been citizens, Michael’s naturalization would have automatically made them citizens.